Today we visited the sites of Pergamum and Thyatira. En route to Pergamum Harold Comer read the text from Rev. 2 which contains the letters to the churches in those respective cities, and made appropriate comments. Jesus said that Pergamum was the place where Satan’s throne was. He may have had reference to the altar of Zeus which was so prominent in the city. Others suggest that the worship of Roman emperors was meant. There were also temples to Athena, Dionysus, Serapis, Asclepius and others, so it could be that all of these combined meant that Satan’s influence was deeply entrenched there. Sometimes people are heard to say that if they had lived in the 1st century it would have been much easier and simpler to be a Christian then; that is simply not true! 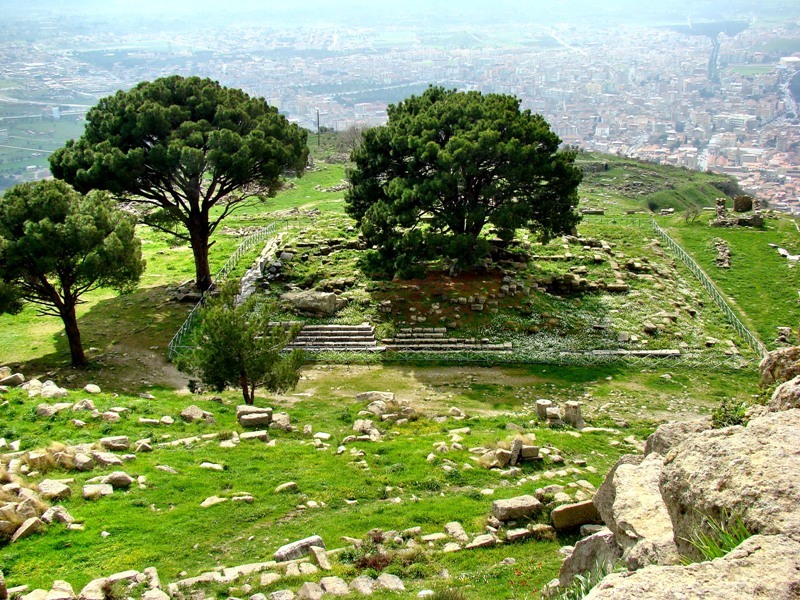 Christians at Pergamum were called upon to live holy lives in the midst of idolatry, immorality, and false religion. Here is a group shot which shows the temple of Emperor Trajan (reigned A.D. 98-117) in the background. Altar of Zeus. Photo by Leon Mauldin. 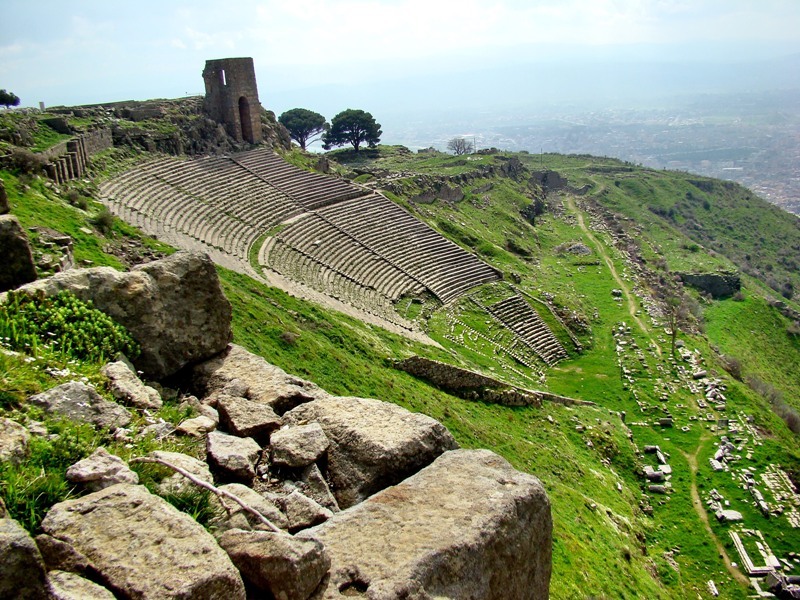 Pergamum has the steepest theater in the world; it follows the natural incline of the slope. 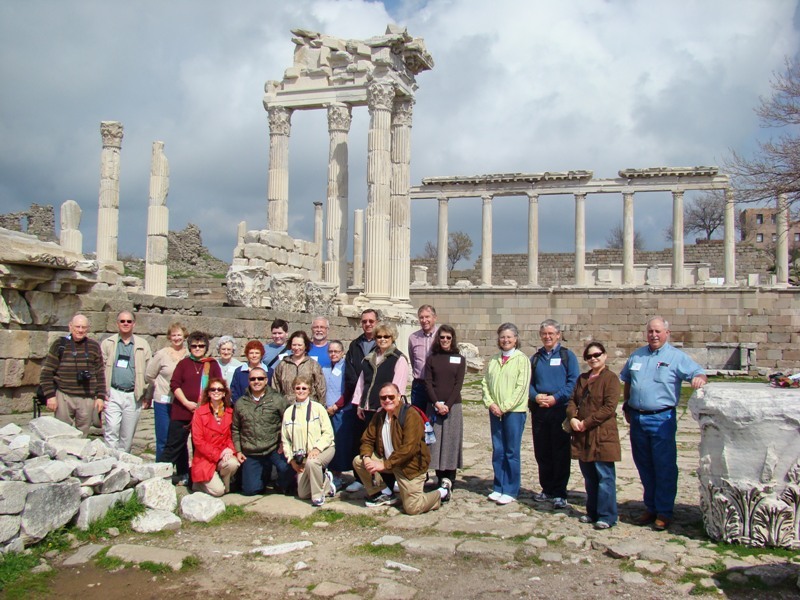 Tomorrow we are to continue our biblical study tour as we journey to Aphrodisias, Philadelphia, and Hierapolis. This entry was posted on Friday, March 12th, 2010 at 9:00 PM and is filed under Uncategorized. You can follow any responses to this entry through the RSS 2.0 feed. You can leave a response, or trackback from your own site.